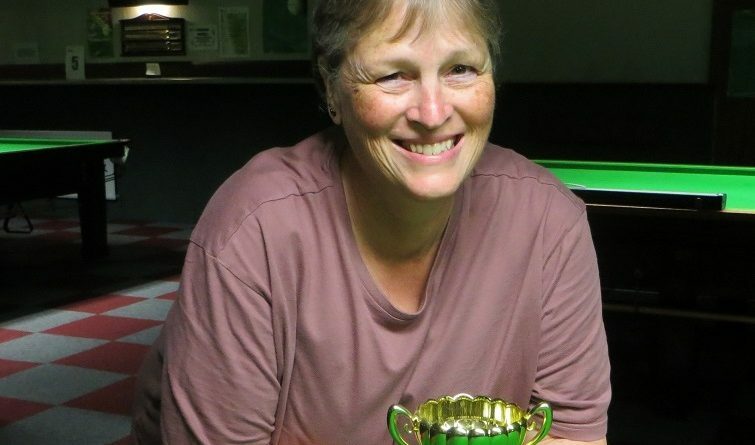 JACKIE Ellis said she’d been “waiting a year for this” after edging Lorraine Colliss in the final of the Ladies Championship at Chandlers Ford Snooker Club. The 51-year-old from Clyffe Pypard, North Wilts, had lost a marathon black-ball game in the semi-finals last year. Determined to ease that pain, she produced the best snooker of the competition under extreme pressure on the final few balls. Leading Colliss by a slender one point, she potted the green, the brown, a deadweight blue from an acute angle into a middle pocket and the pink with the rest for the evening’s highest break of 18. Ellis, who suffers from chronic fatigue syndrome and fibromyalgia, which causes widespread pain and affects balance, coordination, concentration and short-term memory, is ranked 33rd on the World Ladies Billiards and Snooker circuit . She also competes on the Cuestars Seniors (40+) Tour. Six of the nine entries have sons or daughters in the club’s junior section and it was the chance for the long-suffering mums to let their hair down. And they certainly seized that chance. The cocktails took a hammering and club-owner Ray Cooper’s karaoke machine may never recover. During the trophy presentation, Cooper described some of the snooker he had witnessed as “interesting”. Group A: 1st, Jackie Ellis; 2nd, Lorraine Colliss; 3rd, Julia Kline; 4th, Zoe Thomson; 5th, Patti Cunningham. Group B: 1st, Kelly Read; 2nd, Becky Pickles; 3rd, Lucinda Wyatt; 4th, Claire Sykes. Semi-finals: Ellis 1-0 Pickles, Colliss 1-0 Read. Plate final: Kline 1-0 Thomson. Referees: Steven Hughes, Riley Ellis, Callum White.